SXRD panel technology can achieve an extremely high contrast ratio compared with other devices. You'll see the difference with more immersive, high brightness images. Enjoy the action with up to 1,500 lumens brightness, for vibrant images on screens up to 762 cm (300"). 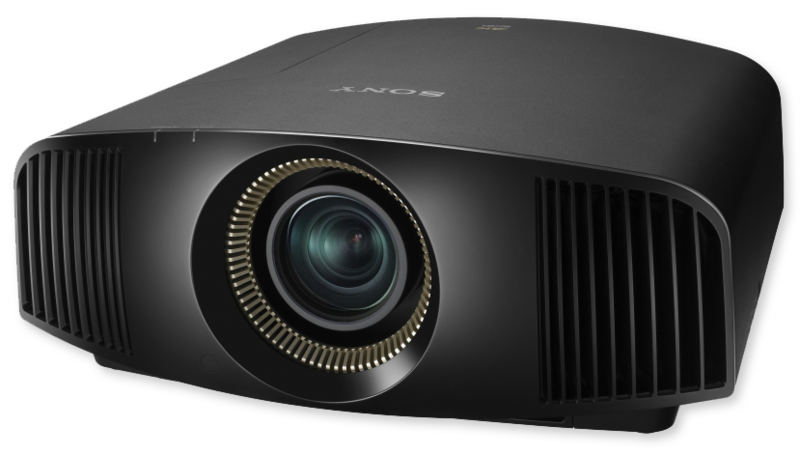 Sony’s Advanced Iris3 technology adjusts light output frame-by-frame, allowing the projector to achieve an incredible 200,000:1 dynamic contrast. Fine shadow detail is revealed in dark scenes, without compromising reproduction of bright scenes for truly captivating images. Discover true-to life colours and tones. The VPL-VW360ES incorporates TRILUMINOS colour, reproducing more tones and textures than standard projectors. Hard-to-reproduce crimson reds, aqua blues, and emerald greens are displayed beautifully so landscapes and seascapes look more vivid. Faces look better, too, with faithfully reproduced skin tones. Motionflow cleverly adds extra frames to reduce blur and maintain brightness in thrilling, fast-moving scenes such as sporting events. Cinema purists can choose True Cinema mode to retain the original 24 fps. The projector's picture position memory memorises the position of the lens (focus, zoom, shift). Users can match a movie’s aspect ratio, including 1.78:1 and 2.35:1, and store these settings for instant recall. After extended periods, colour can be automatically calibrated to the original factory conditions.There’s no need for extra calibration equipment or cameras; a built-in colour sensor stores all the necessary information. The high-performance lamp and advanced lamp control technology allow the projector to deliver an extremely long lamp replacement time of 6,000 hours*. Whisper-quiet 26 dB fan noise* minimises disturbance for your audience. *Dependent on environment and operating conditions.